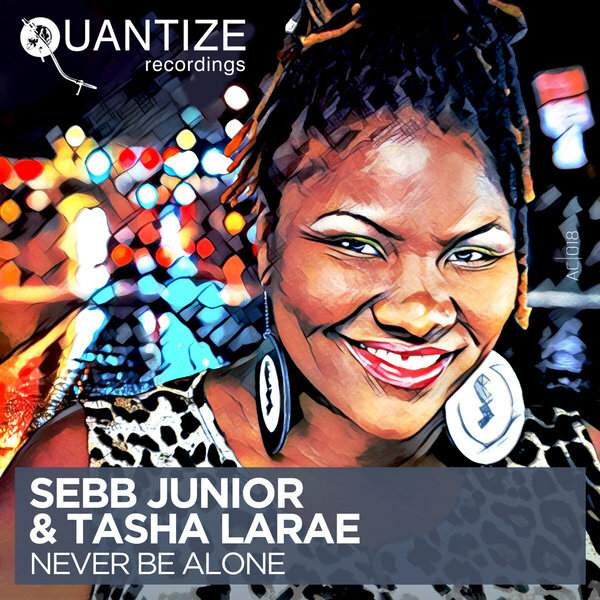 Sebb Junior & Tasha LaRae ?Never Be Alone? Quantize Recordings presents ?Never Be Alone? by French House Music DJ/ Producer Sebb Junior. Working alongside vocalist Tasha LaRae, Sebb has once again created an irresistible track will send dance floors into the stratosphere. Tasha has incredible voice that is captivating from her very first note and her superior song writing skills make "Never Be Alone? a song that is uniquely positive and uplifting. This release contains Sebb?s Original Mixes and a Dirty Disco Mix collaboration with DJ Spen. ?Never Be Alone? will defiantly be considered one of this year?s best overall productions so DON?T Sleep!!!! !